Looking to be reminded of the promises of God? These beautifully designed cards are an attractive way to encourage faith. 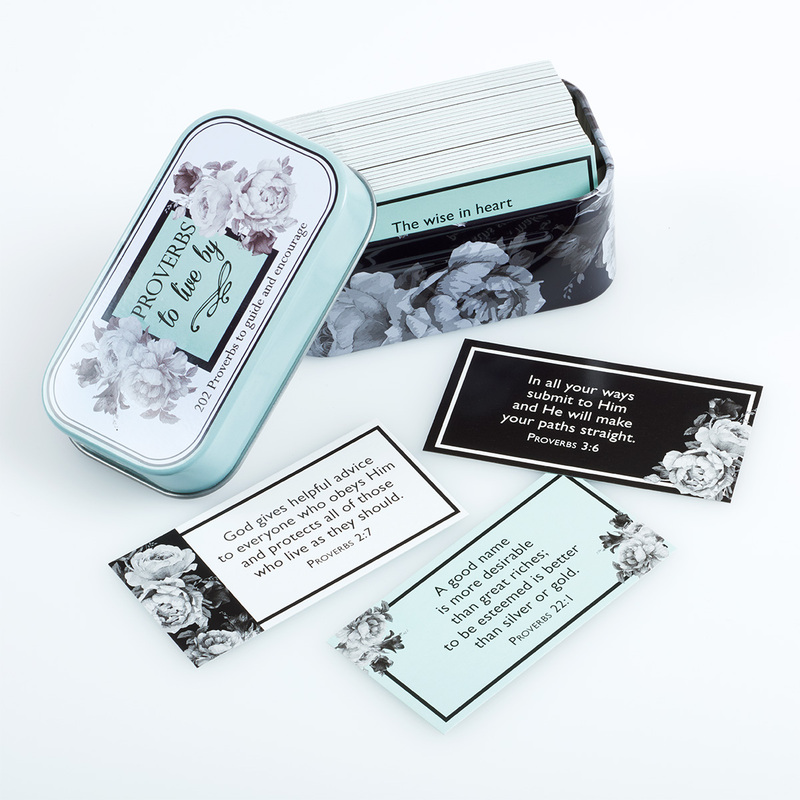 Give the gift of wisdom with the Proverbs To Live By Cards, packed with 202 verses from the book of Proverbs. Is a member of your small group seeking spiritual direction? These Proverbs cards will guide them down a path to a more fulfilling life following Jesus. Keep the encouragement cards handy for bookmarking pages in a book, Bible or notebook, tape them to your bedroom mirror or dash of your car, or place them in your journal as a reminder of a season of your life God led you through. 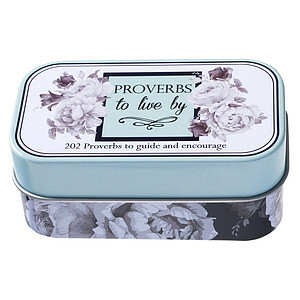 Proverbs to Live By Promise Tin by Christian Art Gift was published by Christian Art Gifts in March 2017 and is our 968th best seller. The ISBN for Proverbs to Live By Promise Tin is 6006937137851. Be the first to review Proverbs to Live By Promise Tin! Got a question? No problem! 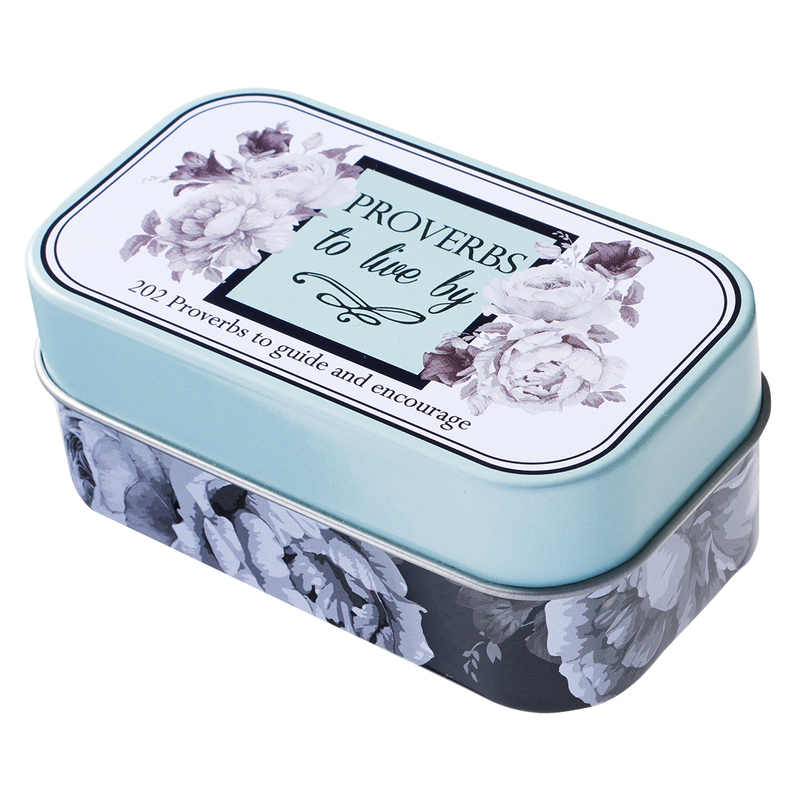 Just click here to ask us about Proverbs to Live By Promise Tin.